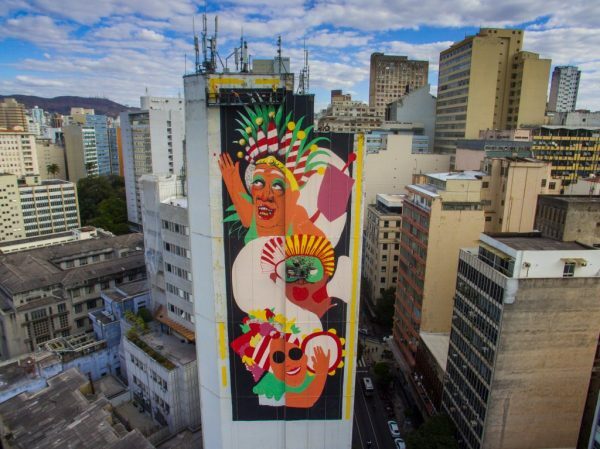 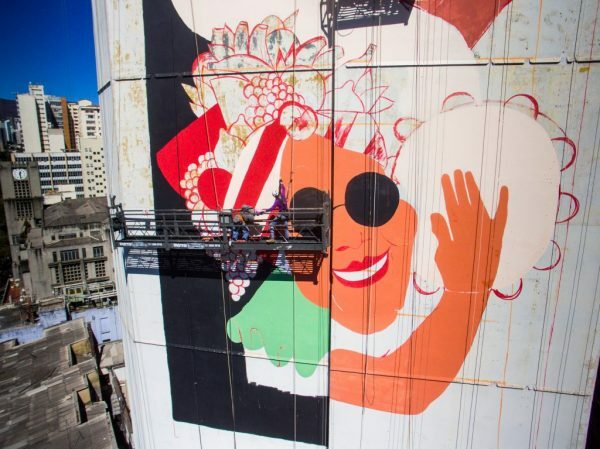 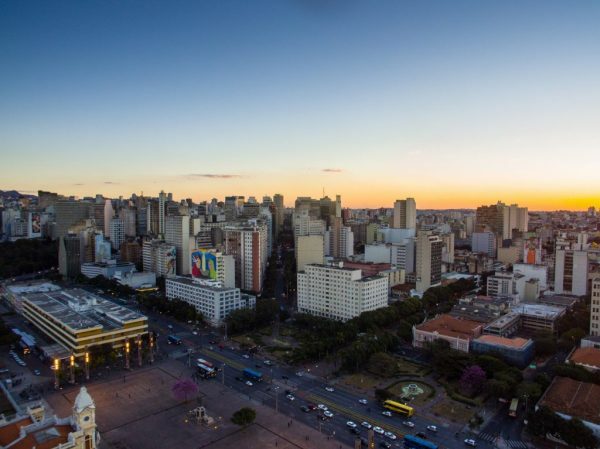 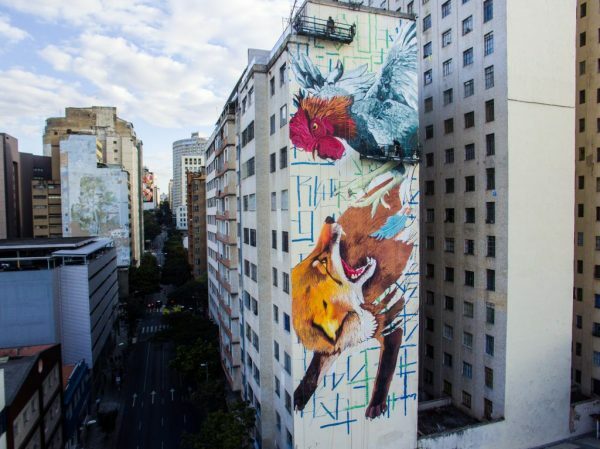 You will find the murals painted in large format on the blind sides of 4 buildings in the center of Belo Horizonte, which are up to 50 meters in height and 37 meters in width. 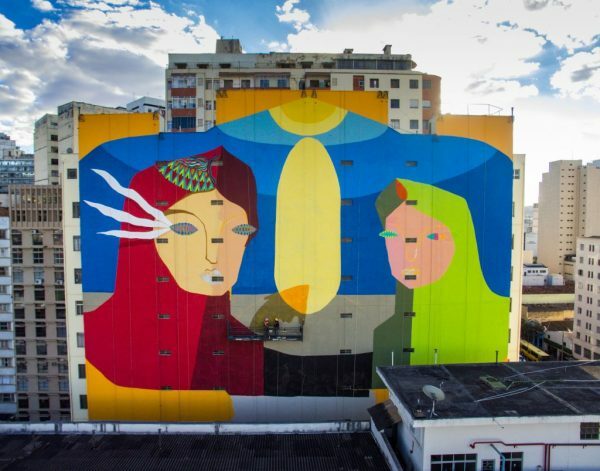 They selected these four walls because all four lateral sides can be simultaneously seen from Sapucaí street by the new and first street art viewpoint of the world. 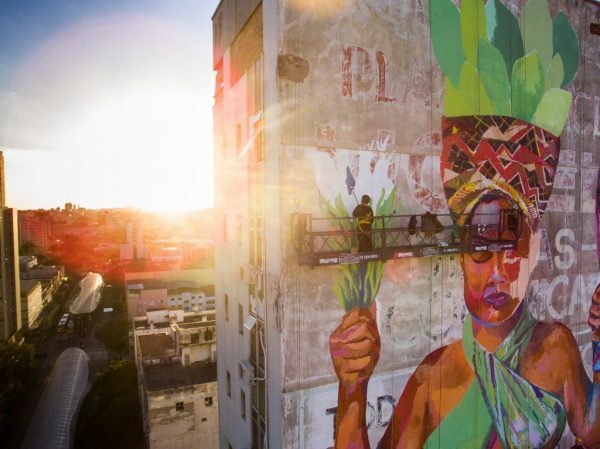 The festival also offered a great cultural program with discussion panels about art, parties, an art bazar, film screenings and several guided tours – focusing on the transformation of Sapucaí Street into an effervescent cultural corridor, with potential to equal the most charming, creative and interesting streets of the main cities of the world. 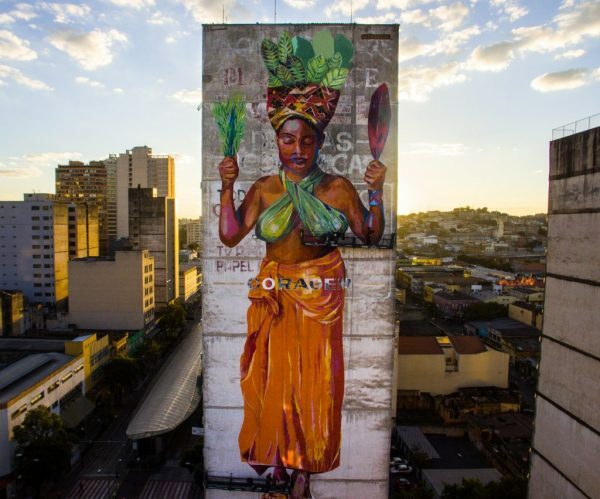 Veröffentlicht in contemporary art, Exhibitions, Festivals, Graffiti, Murals, Paintings, Projects, street art, urban artGetaggt mit Brazil, CURA, exhibition, graffiti, Mural Festival, murals, outdoor, streetart, urbanartBookmark the permalink.